Through-hole and sub-miniature in size, the right angle MS1206 single pole double throw slide switch offers steel housing materials with actuator length choices from 3.0mm to 6.0mm.This latching micro switch features PC pin terminal options with terminals made of silver-plated brass. 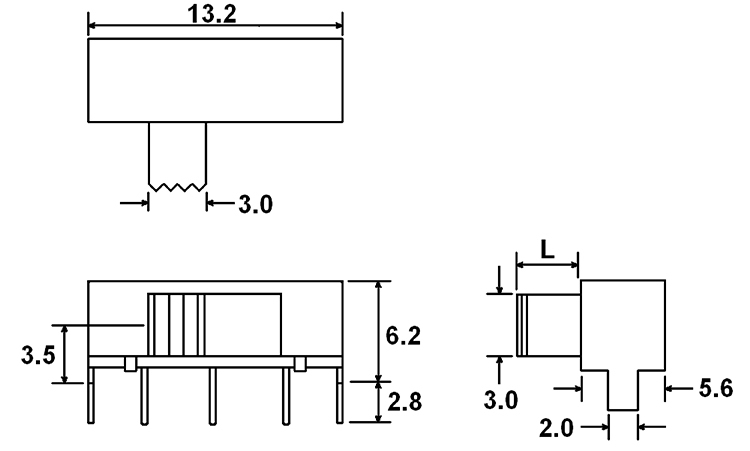 The base is made of phenolic material while the actuator is made of acteal material. 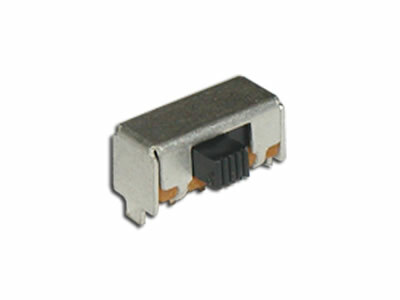 This switch features a storage and operating temperature of -40C to 85C.